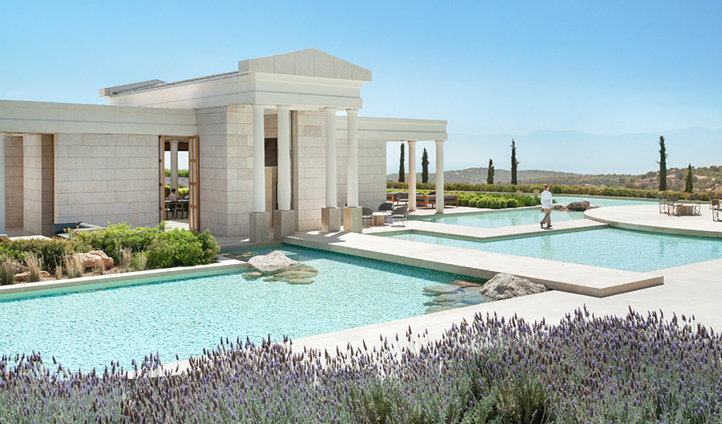 Amanzoe, a hybrid word of Sanskrit and Greek, translates to mean ‘peaceful life’ – and that’s exactly what this magnificent Mediterranean retreat promises. 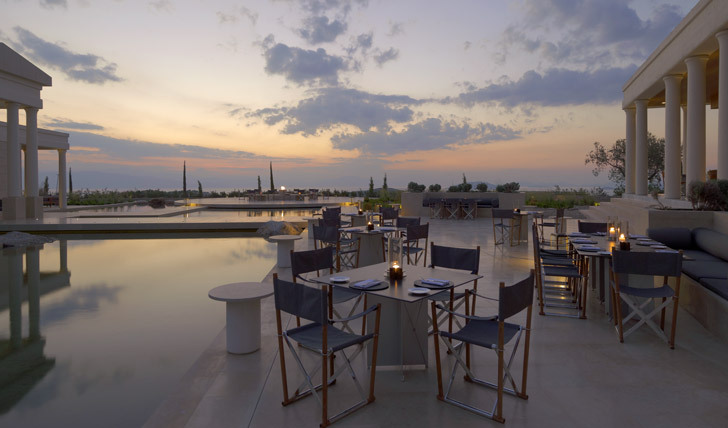 Surrounded by undulating olive groves and overlooking the glittering waters of the Aegean Sea, Amanzoe oozes tranquillity. Take a step back in time as you stroll between mighty colonnades and across the impressive amphitheatre, but enjoy all that the modern day has to offer in one of the gorgeous pavilions or villas. It’s civilisation at its most luxurious here with an art gallery, horse riding, helicopter trips, sunset yoga classes, water-skiing and wine tastings. Far from just a room, choose between private pavilions or villas at Amanzoe. Set amongst stone-walled courtyards, the accommodations here offer unparalleled privacy. Dotted throughout the hillside, each pavilion and villa is built at a different altitude to ensure you are not disturbed and with private terraces, plunge pools and sea views – why leave? At night, drift off in sumptuous king-sized beds set within marble alcoves – a dwelling fit for Aphrodite herself.